I had wanted to make a citrus salad for a while. I only recently discovered how wonderful navel and Cara Cara oranges taste. You see, I never liked oranges. Clementines, yes. I like orange juice and the orange flavour, but some oranges are just no fun. I just guess I never met the right one. That is until a friend shared a Cara Cara orange with me. Navels and Cara Caras are sweet and light. Granted, I still have to pick a time to get my nails pulpy from peeling the orange, but at least now I enjoy what is inside. 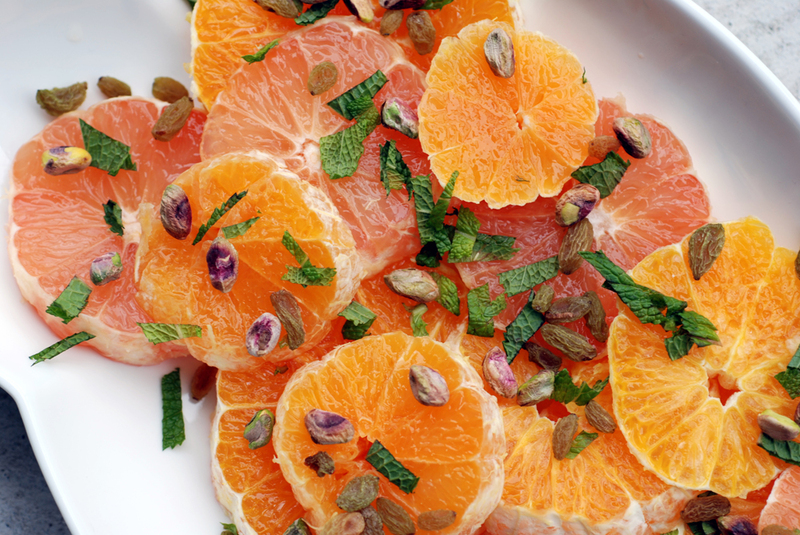 So which citrus salad to make? 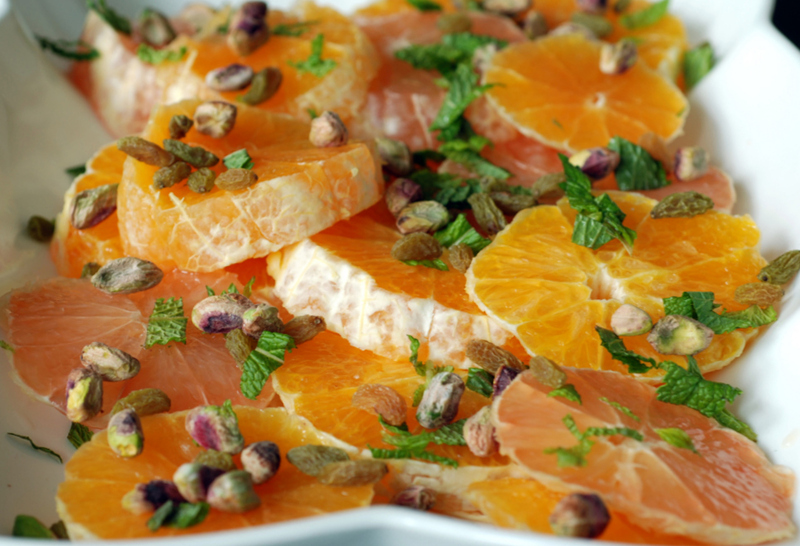 Spoiled by so many choices, I eventually settled on making a citrus salad with Iranian green raisins, pistachios and a cinnamon yogurt dressing adapted from Green Kitchen Stories. 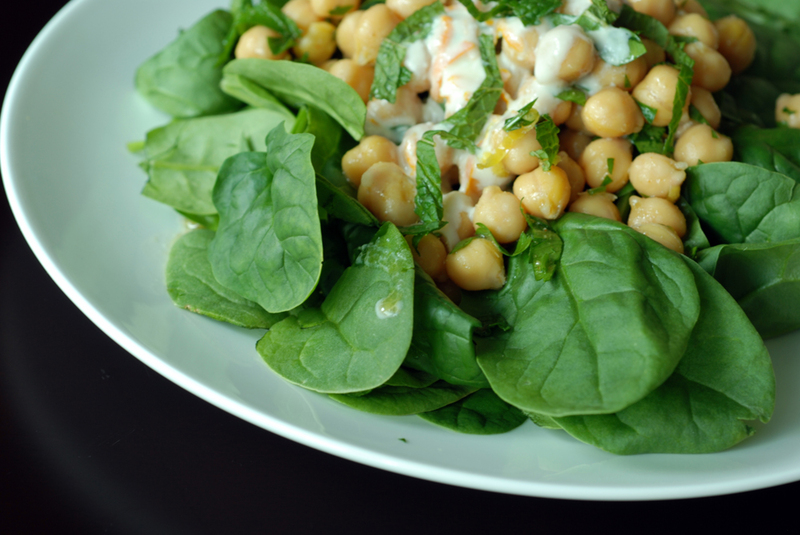 It had a Middle Eastern feel to it and featured a sweet yogurt dressing, which I absolutely adored in a previous chickpea and spinach salad. It was a snap to put together and tasted great. A friend claimed this wasn’t really cooking! Well, technically, no, but it is still a dish to devour! 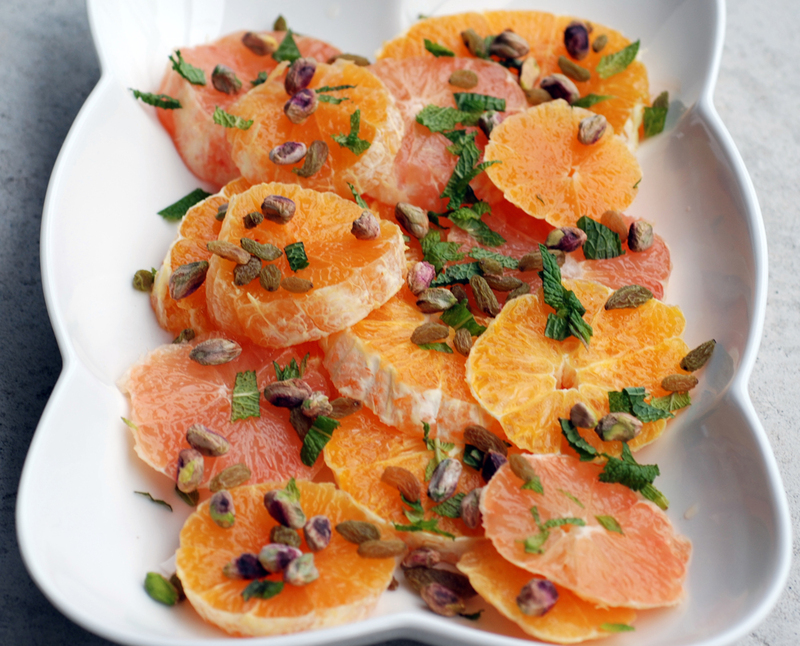 Enjoy all the benefits of citrus with the chewy raisins, crunchy pistachios (next time I will definitely chop them, or smash them with a fry pan into chunks), refreshing mint and the sweet but spicy cinnamon yogurt dressing. I used my China Cassia cinnamon which elevated the heat for my virgin spice palate. Enjoy! This weekend I wandered over to Kortright Centre for Conservation for their Maple Syrup Festival. But before I tell you all about maple syrup, let me tell you about the marvelous sustainable house they built last year. I took a tour of the million-dollar modular house that is hopefully to encourage consumers to ask for more sustainable housing. It boasts ecological sustainability for the Greater Toronto Area, including thick/recycled/light insulation (the house cinder blocks are built with cement mixed with wood chips), recycled water (grey water for the toilets, etc), and energy production through solar power (it sells all its energy for 80 cents and then buys what it needs for 10 cents!). It even had a machine to monitor instantaneous use of energy in the house, akin to the energy monitors in hybrid cars. Just knowing you save money by tuning off the lights (or not quickly accelerating with a car) is bound to change your behaviour, irregardless of efficiency. Despite (or in spite of) its practicality, the house was also gorgeous, but modular in a cookie cutter suburban design. After a tour of these houses, I was off to see a gyrfalcon, the world’s largest falcon. In this case, she had escaped from her owner in Pennsylvania, and unfortunately became trapped in some nets in downtown Toronto before being adopted by the Kortright Centre. And then, the real highlight was the sugarbush trail to see how maple syrup was made by pioneers and also by modern folk, along with tasty samples along the way. Sugar maples (and less likely silver maples) are used to make syrup through their sap (water and sugar) which is stored in their roots during the winter. During the spring, you can tap into the tree and siphon off the sap. The older the tree, the more you can tap. Earlier in the season, there is a higher sugar content (3%) and as it is distilled (water boiled off) you get syrup which is 66% sugar. Because of the higher sugar content from the early season, less time is required for distilling, so there is less caramelizing of the sugar and you get lighter maple syrup. It has a less distinctive maple flavour but is highly prized by cooks and chefs. Later in the season, you need to roast the syrup longer, so it is more caramelized, and hence darker. The darkest maple syrup is sold to food companies. Mid-range syrup (“medium”) is what most consumers buy from stores for pancake topping, etc. Canada produces 85% of the world’s maple syrup and of that, 80% comes from Quebec. After enjoying a pancake meal complete with pure maple syrup, and a quick hike through the beautiful trails, I snatched some local maple syrup to take home, as I have been experimenting with more recipes using maple syrup. This is one such recipe. 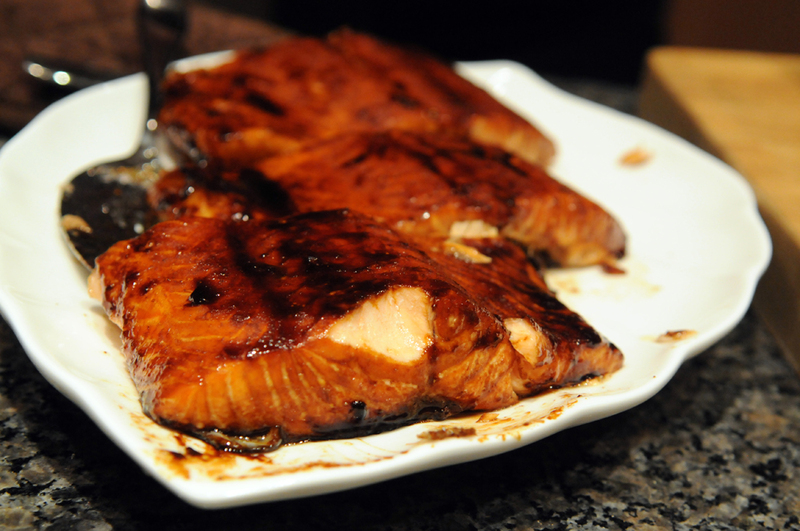 Adapted from Closet Cooking (who has a host of other scintillating maple recipes that I am eager to try), this is a very easy salmon dish that is similar to salmon teriyaki but doesn’t require as many Japanese ingredients. 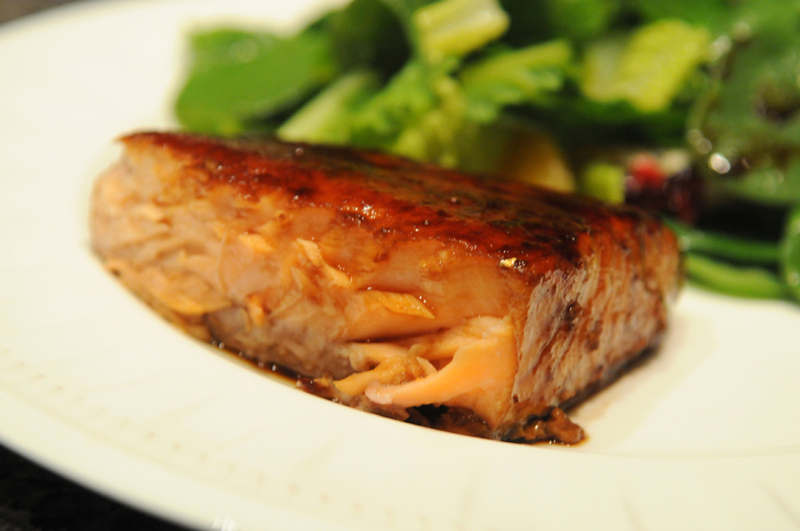 It is sweet and salty and the marinade bakes on top of the fish, coating it so it remains light and moist. 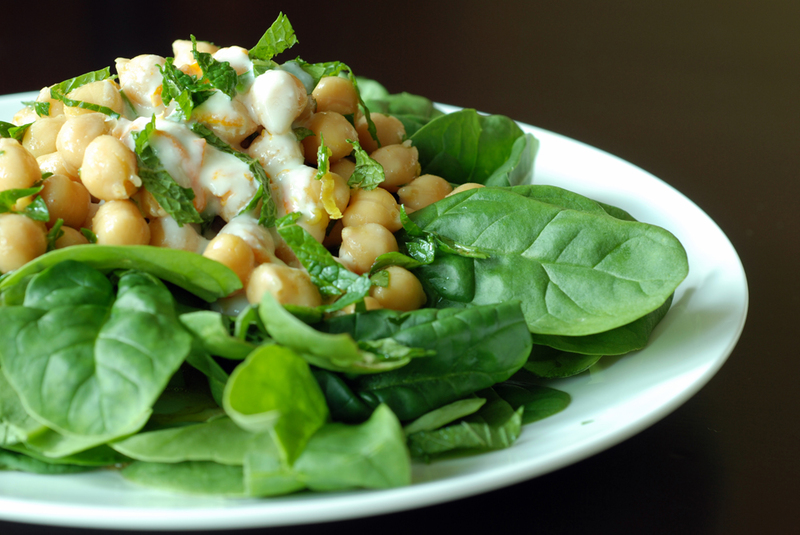 Delicious, simple and healthy, how could you not like it? Hoisin sauce is new to me. It is a Chinese salty-sweet marinade, akin to barbecue sauce, made with soy, garlic and vinegar. I initially bought it after I had some delectable hoisin chicken lettuce wraps in a restaurant that I wanted to recreate at home. However, meat doesn’t make many appearances in my household, so tofu it was! 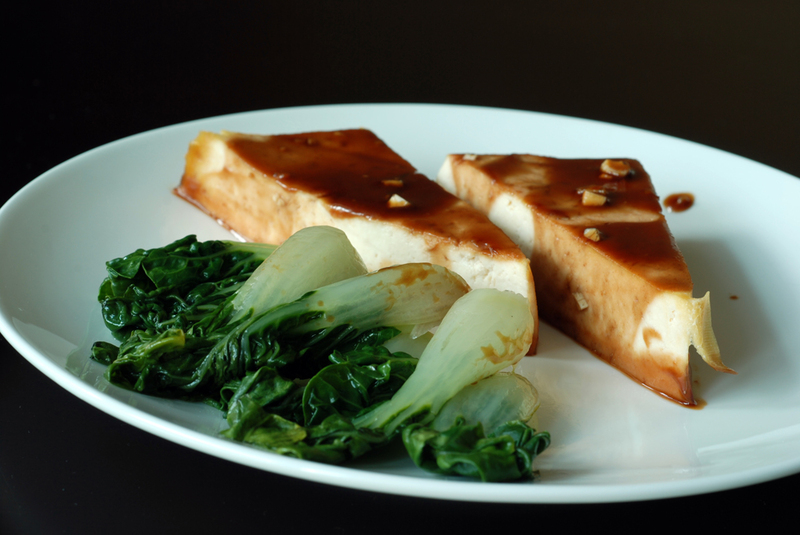 This recipe features firm tofu baked with a wonderfully sweet and tangy hoisin sauce with a side of baby bok choy topped with sesame oil. 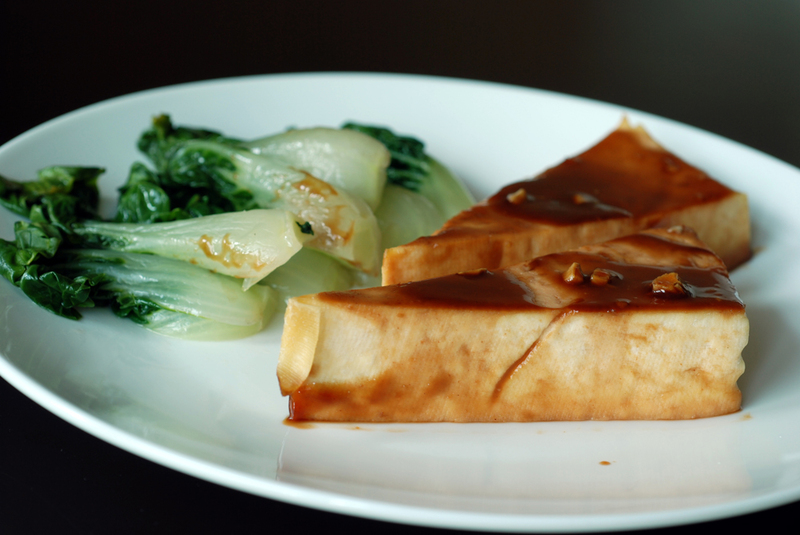 The tofu was delicious, although the sauce was absorbed when I ate it as leftovers (still good but not as saucy!). The bok choy was a bit bland, so I think next time, I will try a side dish incorporating more vegetables like red peppers and mushrooms, similar to this dish posted at Canadian Living. 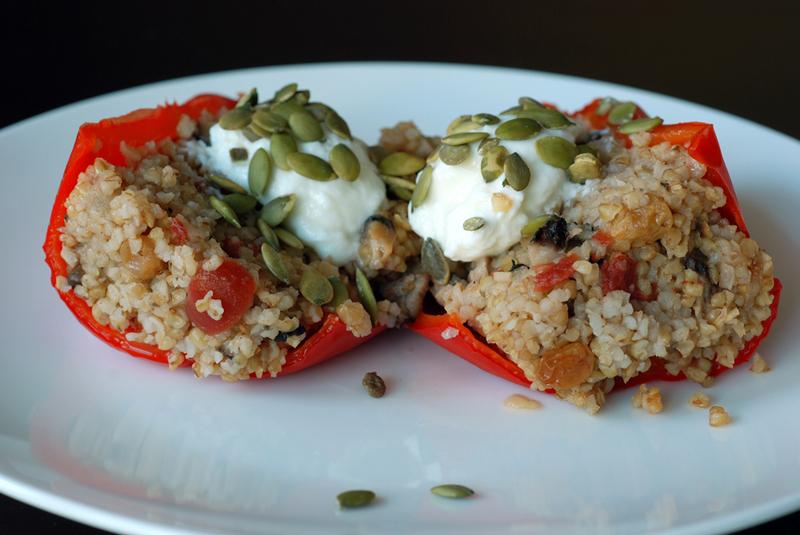 The following recipe is from The New Mayo Clinic Cookbook, also posted here on the Mayo Clinic website. This is my submission to Health Nut Challenge 5 featuring Cruciferous Vegetables, hosted by Yasmeen Health Nut. Sometimes healthy recipes may not appeal to everyone. They may not be filling, not flavourful, not satisfying, yada yada. I recently discovered The Mayo Clinic Williams-Sonoma Cookbook which is filled with healthy recipes that highlight using fruits and vegetables while not overloading on salt and fats. So far the recipes have turned out well, and this is the first one I am going to share. However, I felt that this one needed some tinkering to give it that extra oomph. 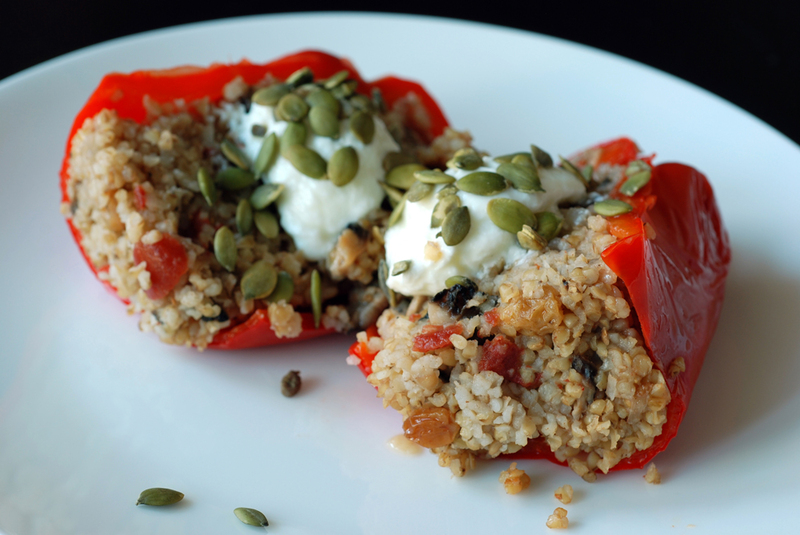 First of all, this is a simple dish of stuffed red peppers with a bulgur filling. 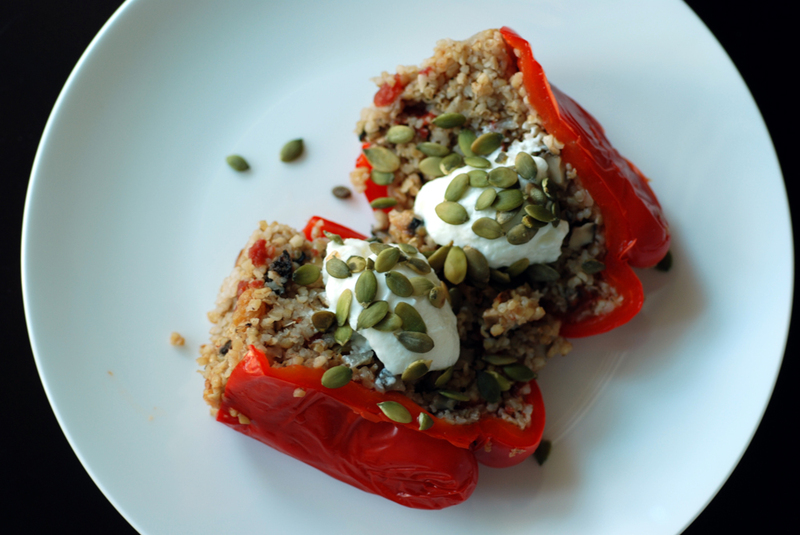 I loved the sweetness from the red peppers as they were roasted with the filling. However, there was a lot of filling, so you need more peppers than the recipe called for.. unless, I just happened to use small peppers. Otherwise, the filling was good but not incredibly flavourful. I added in extra ingredients to soup up the flavour – some chili powder, fresh basil and oregano. Now we’re talking. Sometimes I skimp on the garnishes, but I felt that the yogurt and seeds definitely added a textural contrast to the dish that lifted it to the next level. I hope you enjoy this tasty, healthy and filling dish. I am submitting it to this week’s Weekend Herb Blogging, hosted by Yasmeen from Healthnut. Sometimes salads wow you; sometimes they are more subtle. This is one of those subtle salads, with a myriad of flavours, but none overpower or overwhelm this dish. You slowly contemplate each ingredient and then realize that this is pure genius, pure bliss. This is a hearty meal in guise of a salad, which is my favourite way of having lunch. 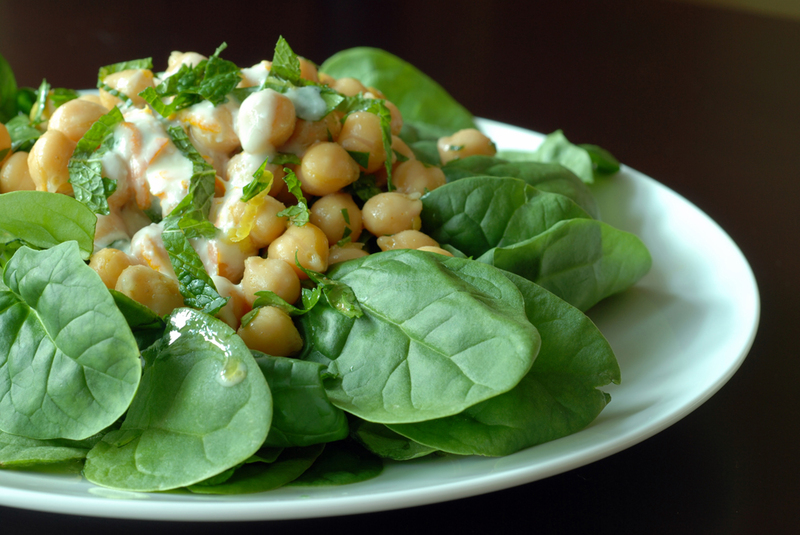 This salad has a bed of baby spinach, overlayed with cumin-scented mint-flavoured chickpeas that roll around aimlessly as you dive in. But my favourite aspect of the salad is the orange dressing with yogurt, honey and the juice and zest from a navel orange. 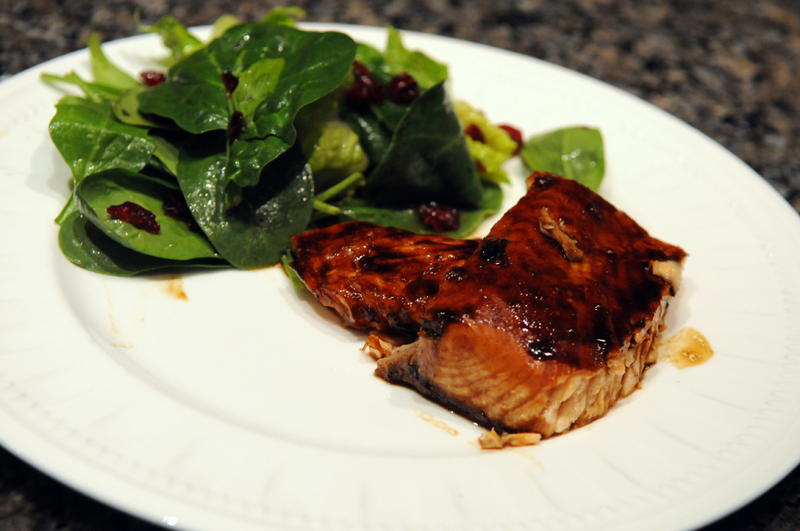 The sweet dressing mixes with the peppery cumin and offsets nicely with the refreshing mint. Enjoy!! This recipe was adapted from Ellie Krieger’s show at The Food Network. This is my submission to this month‘s No Croutons Required, hosted by Lisa’s Kitchen, featuring chickpeas as well as to this month’s My Legume Love Affair, hosted by Super Chef at Mirch Masala. One of the best compliments of someone’s cooking is when others use your recipe regularly. Many people may ask for a recipe, but they may not venture to make it. It likely gets added to the ever-growing list of recipes to your ‘to-try’ file (and oh, am I guilty of that!). The biggest compliment is when a great cook adds your dish into their repertoire… especially when that fabulous cook is your mom, who can do no foul in the kitchen. This is one of those dishes that my mom has lifted from my files and I figured it was about time I shared it with everyone else. 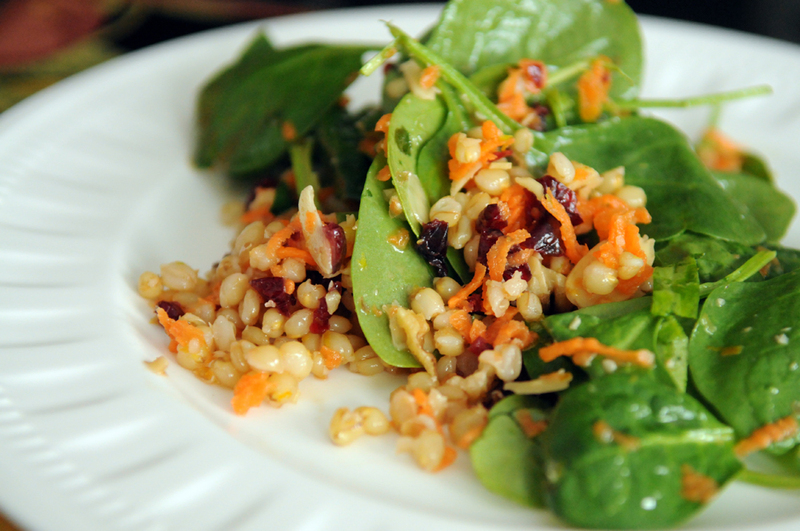 I have already professed my love for wheat berries, the nutty, chewy kernels of wheat and this was the recipe that got me hooked. 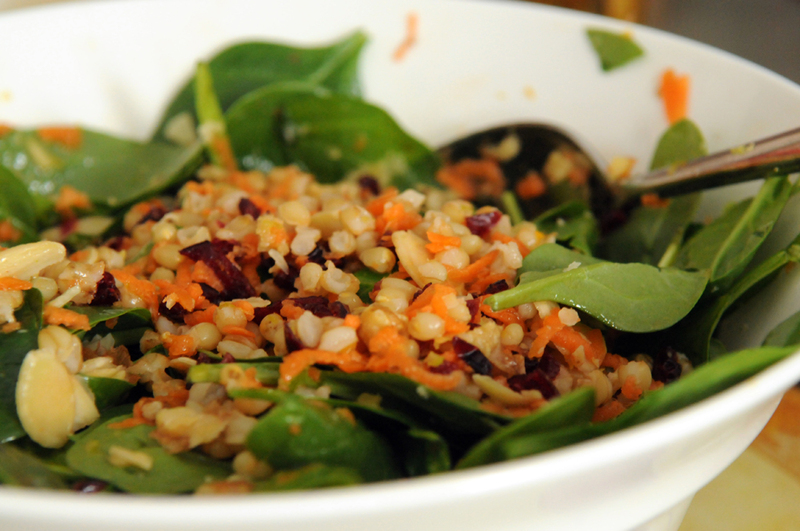 Wheat berries are combined with a sweet citrus dressing, paired with some greens (mixed, spinach, watercress, whatever!) and crunchy nuts. 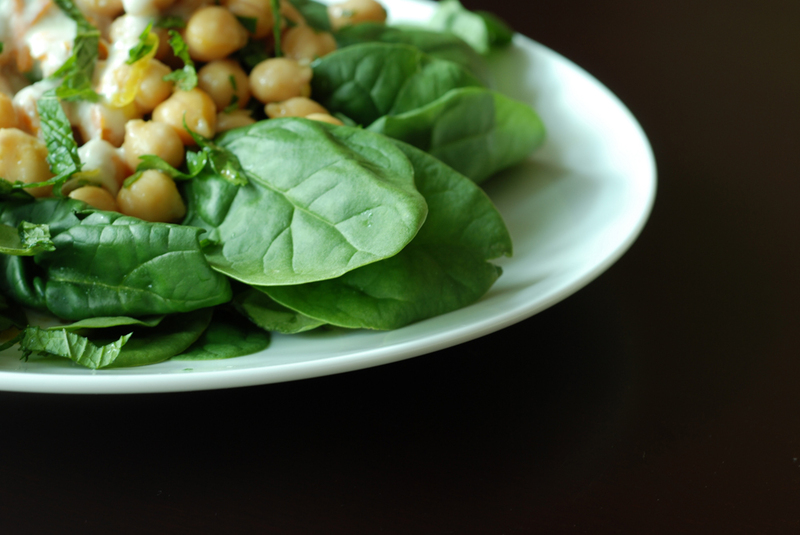 This makes a light yet filling salad, perfect all year round. I adapted this recipe from Raising the Salad Bar by Catherine Walthers. Now a diversion regarding food photography: I attended a talk by food photographer Robert Wigington through the Toronto Camera Club last week. Granted food bloggers are very generous with their tips on how to get that perfect photo, and some have photographed their own cookbooks, but I get curious how the professionals do it. I actually eat the food I feature in my photos, and try not to let the food get too cold. Robert has shot food photos for numerous cookbooks, magazines as well as for companies like President’s Choice. I liked how he highlighted the importance of the food stylist, who makes and styles the food.. But not necessarily with the real recipe – a roast turkey would be cooked for 20 minutes, not hours! He rarely eats the food, probably because it isn’t real! While shooting a shot of a pizza slice with dripping melted cheese, he could go through 10 pizzas over a morning of photographing, just to get that perfect shot. My favourite tip from the night, though, was how he loved reflections to convey whether a dish was moist or juicy. Usually I try to eliminate odd shadows or reflections, but I think these shots show how the reflections from the dressing work well with the first photo. The second one, below, doesn’t look as appealing and I blame it on the lack of shine. I am submitting this for to this week’s Healthy Vegan Friday, this week’s Weekend Herb Blogging, hosted by Susan from The Well-Seasoned Cook.